From 1865 the Native Land Court (later the Māori Land Court) facilitated the sale of Māori land to government and private buyers. By 1908 less than 20% of the north was in Māori control. 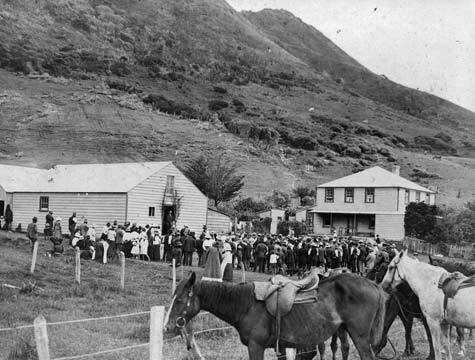 This photograph of a sitting of the Māori Land Court at Ahipara was taken in the late 19th century.